High-quality early education has a positive impact on the development of children, particularly in the areas of language, literacy, and mathematics. These efforts help ensure that children are ready for school, possessing the skills and knowledge necessary for success in later learning and in life. But the reality is, not every child experiences high quality learning due to issues of equity. Institutional, organizational, and individual policies and practices play a part in creating this disparity. School Readiness Consulting (SRC) recognizes that in order to realize equitable outcomes for all children, the early childhood field must expand and deepen practices, policies and systems that focus on equity in early learning. 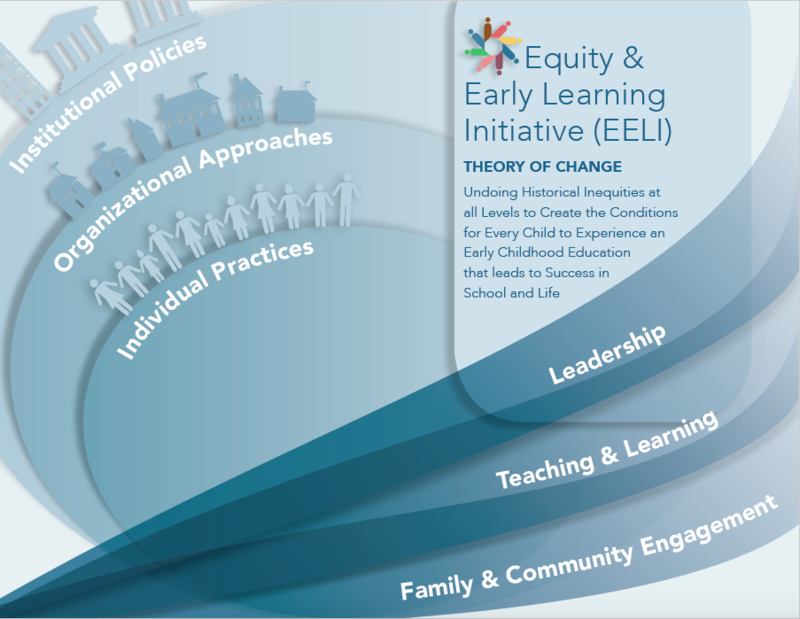 The Equity in Early Learning Initiative (EELI) was initiated to address these important issues. SRC invited leaders from a number of national organizations, county and city government, higher education, and school districts who have demonstrated a commitment to equity in early learning through their work. The convening was held in Fall, 2016 with the objective of building on existing efforts and forging coalitions to develop an agenda for the work of elevating equity leadership and social justice education in early learning, at the programming, local policy and state/national advocacy levels. Responding to a theory of change, attendees identified high impact outcomes and discussed feasible actions and resources that would create opportunities at the individual, organizational, and institutional levels. This discussion will be used to inform a 3-year agenda focused on impacting areas of teaching and learning, family and community partnership, and leadership. With this work, we believe that the DC metro area can serve as a model for exemplary practices and local policy, and help elevate advocacy efforts at the national level in partnership with other national equity movements.